Bad habits can be annoyingly hard to shake, but it’s never too late to reverse. Of course, humans are hardwired and the term “creatures of habit” isn’t just a saying. It’s a reality. Sure, habits can help to keep the wheels on (i.e. wake up at 6am to get lunches made and kids to school). But other times, they’re lifelong habits that do our heads in. If you dig into our complex psyches, you’ll see that habits are triggered by circumstances or feelings. For instance, you feel anxious (trigger), so, you reach for snack or drink another cup of coffee (habit). It’s basically a repetitive trigger-habit cycle that happens almost subconsciously. The key is to recognise your triggers and learning how to mindfully counteract them. You have to make a habit of beating a habit. Psychologists will often tell you that writing things down is the perfect way to bridge the emotional and rational. So track your daily routines, your emotions and the actions that flow off these. Not only will you start to see patterns (i.e. every time I’m angry I crave a snack; or when the kids fight I bait my husband), but you’ll be better placed to stop your bad habit before it takes hold. If you’ve ever tried to quit (ex. processed food, too many wines, or coffee), you’ll know that one of the biggest struggles is filling the void. What do I munch on while I binge on Netflix? What do I do at 10am every morning now that I don’t drink coffee? Simple: replace this habit with a new one. If you fail to find a replacement, your brain will catch on quick. 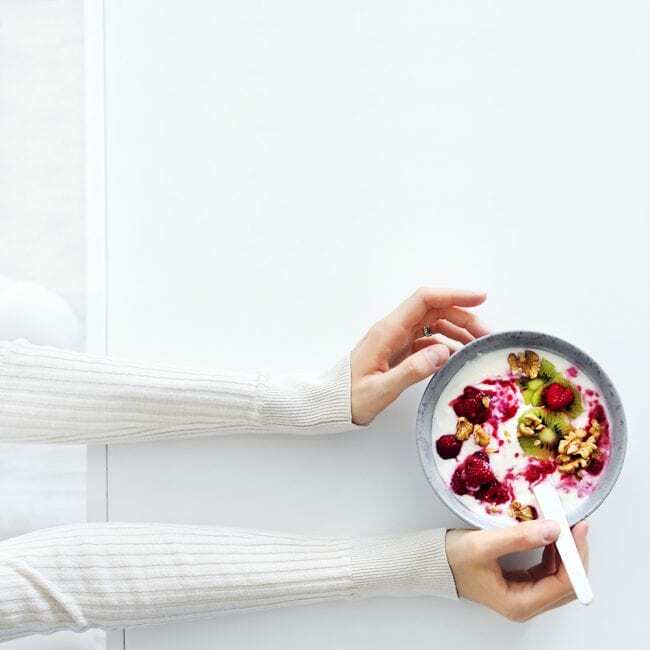 It could be as simple as replacing your 10am coffee with an un-caffeinated beverage; or having a snack platter of fresh fruit and nuts (portion controlled) instead of potato chips. Believe it or not, your brain is conditioned to create new ‘habits’, but repeating this new habit or behaviour is critical. 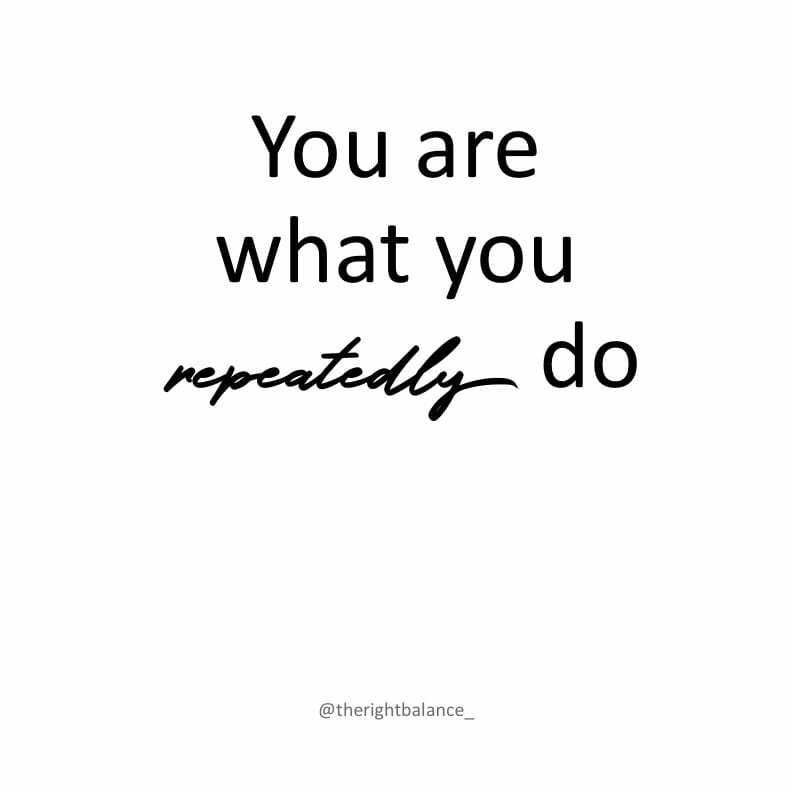 Remember, you are what you repeatedly do! Back to the psych: there’s nothing quite as effective as visual cues. Whether it’s a mood board, scrapbook or motivation board, inspire success through positive images. Want to break your messy habit? Put pictures around the house that depict how you’d like your place to look. Want to eat healthier? Prop up images of healthy living. Remember, your kids can easily learn habits off you. So shake off your bad ones and you’ll be empowered to lead by example.